Facebook recently announced and introduced their soon to be launched “Facebook App Center” which will first and foremost consolidate all applications (Web, iOS, and Android apps) that integrates with the most known and popular social networking website – Facebook. The objective of Facebook bringing up a social app center is for tech-consumers or users to be able to find a centralized place where they could find social apps. Also, in a way Facebook would be able to help app developers in terms of wider exposure in a larger scale and help their app to become more successful. Having said, this is one big step for developers to become more popular with their app – one big advantage. 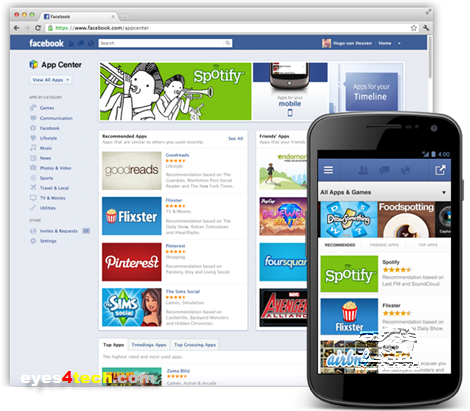 How can Facebook App Center become an advantage for app developers? Being a developer, one of the frustrations of a person or a company that launches a great app is promoting their products to the end-users – to share the product and be known around the world. If you are an Android smartphone or tablet user, then I guess you are already aware of Google Play. When you visit their official website, you will see there the latest apps, trending apps, top paid apps, and new apps – whether it is a game or useful Android applications. Looking at that, you will see apps getting popular and viral just because Google Play have this kind of statistical system that sorts Android apps on their rightful place. Remember the “Pinoy Henyo” Android game app, Instagram, Draw Something, FourSquare, and many more? They became even more popular when they where placed in Google Play’s top and trending apps. So, are we now in the same pace now? 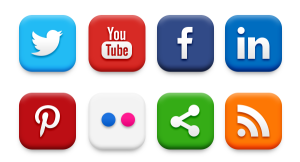 Facebook App Center will be another best venue for developers to expose and promote their app. As of writing this article, according to Facebook’s latest statistics they already have at least 900 million users worldwide. And statistically speaking, most of these users are hooked and connected to Facebook 80% of their time – how productive aren’t they? 🙂 So, imagine that BIG number of users that might spot your app. If you have a useful and quality app, receives excellent user ratings, and more and more users are looking and downloading your app – you can now become an instant STAR and popular! 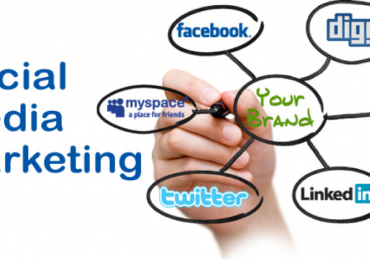 Facebook Sharing and wall status update is one great tool of Facebook to spread your application. This is one of the features of Facebook which helped many apps in the Internet to be known – one of them is the Temple Run as well. Your app might be free to download and use or play, but most of these apps gives an option to the user to upgrade or customize their apps. And to do this extra stuffs there’s a part in the app where users can buy coins or credits. To buy coins, users needs to pay it with their own moolah. Then of course that money will go into the developer’s bank account – instant money, isn’t it? There are so many more possibilities where developers can utilize this opportunity depending on the developer’s motives. But before a developer can be listed in Facebook App Center, he must follow first certain guidelines to become eligible. First, the developer must create a Facebook page and must follow the acceptable canvas. Another one is if an app built either for web, iOS, or Android must use Facebook login features. For more details, you can check it here – App Center Guidelines. Facebook App Center isn’t open yet for public viewing and we have to wait until some more weeks. If you are one of those developers or aspiring developers then you can now start prepping up for this. Good luck and get ready to convert all that hard work into fame and cash!